Former Hidalgo County Sheriff Guadalupe “Lupe” Treviño is scheduled to be released from federal custody Tuesday after spending nearly four years behind bars. Treviño, 69, was sentenced to five years in prison in July 2014 after he pleaded guilty to conspiracy to commit money laundering in connection with a campaign contribution from a suspected drug trafficker. Although the charge carried up to 20 years in prison and a $500,000 fine, federal prosecutors recommended he face only 41 to 51 months behind bars because he took responsibility for the crime by pleading guilty and saved taxpayers money by avoiding a trial. U.S. District Judge Micaela Alvarez, however, sentenced the former sheriff to 60 months, or five years, in prison, followed by two years of supervised release. He was also ordered to pay a $60,000 fine. 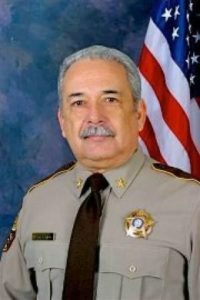 The former sheriff has spent the last six months in Texas since his June transfer from a minimum security federal prison camp in Pensacola to the custody of the U.S. Bureau of Prisons (BOP) Residential Reentry Management field office in Houston, which oversees inmates at halfway houses, in local jails or on home confinement across Texas. 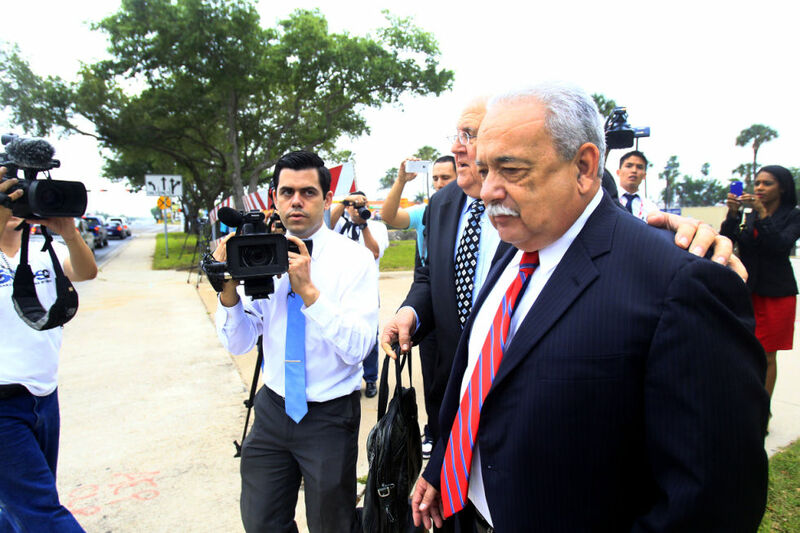 Former Hidalgo County District Attorney Rene Guerra, a friend and supporter of the former sheriff, said Treviño has spent the past few weeks in the Rio Grande Valley on home confinement after his release from a halfway house. “He’s going to try to get back in the community and be an ordinary citizen,” Guerra said of Treviño’s life post-release. Federal prosecutors allege that Treviño, who was first elected sheriff in 2005, accepted cash campaign contributions from Weslaco drug trafficker Tomas Reyes Gonzalez (aka “El Gallo”) from June 1, 2011, to Dec. 31, 2012 despite being aware the $70,000 to $120,000 in funds were obtained from illegal activities. Gonzalez, who was sentenced to 10 years in prison in 2014 on federal drug and money laundering charges, remains in federal custody in Mississippi, according to BOP, and is scheduled for release in 2022. BOP could not confirm what time Treviño’s supervised release will begin Tuesday. Hidalgo County Sheriff J.E. “Eddie” Guerra declined to comment Monday on his predecessor’s release from custody, as did Starr County Special Crimes Unit Commander Robert Caples, who unsuccessfully ran against Treviño in 2012. Yet under his leadership, the sheriff’s office was marred by the Panama Unit corruption scandal, which involved Treviño’s youngest son, Jonathan, 34. Multiple members of the unit — a drug interdiction task force comprised of sheriff’s deputies and Jonathan Treviño, a Mission police investigator — conspired to steal drugs from traffickers and gave them to others in exchange for a portion of the proceeds. Nine lawmen pleaded or were found guilty in the 2014 case, including Jonathan Treviño, who was sentenced to 17 years in prison. Jonathan Treviño is scheduled for release from a Pennsylvania federal prison in February 2029, according to BOP.